Hid the main navigation panel for cleaner look and for better operation experience. at the left corner to display the main navigation panel. Moved this module from top right corner to left navigation bar and simplified it. to display the drop-down box. Removed the navigation access to “My Plan” and its respective pages. Removed the navigation access to “Dashboard” and its respective pages. Consolidated its information to “My warehouse” pages. Removed the navigation access to “Plan Usage Details” and its respective pages. Consolidated its information to “My warehouse” pages. 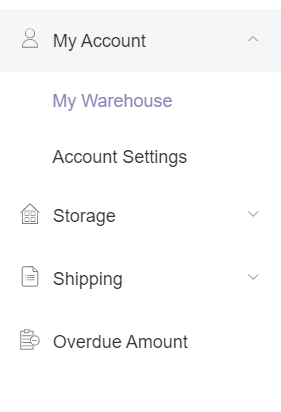 Added “My Warehouse” page and set it as default page after login. Does not exist because this is a newly added page. Your account activation date and billing date will show here. Your billing cycle will start immediately when we put your first SKU on shelf. The billing cycle will renew automatically every 30 days. 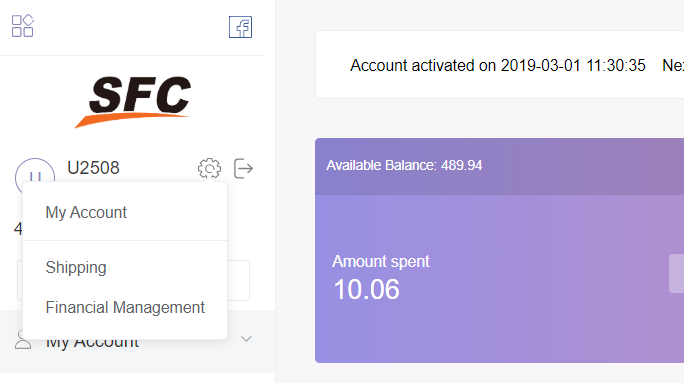 Available balance and amount spent are displayed in real-time. Click “Details” for more financial details. Click “Recharge” to top up your account. Used Storage (CBM) and Items are displayed in realtime. CBM fee is estimated based on your current usage, the actual fee will depend on usage at Payment Deduction Time. 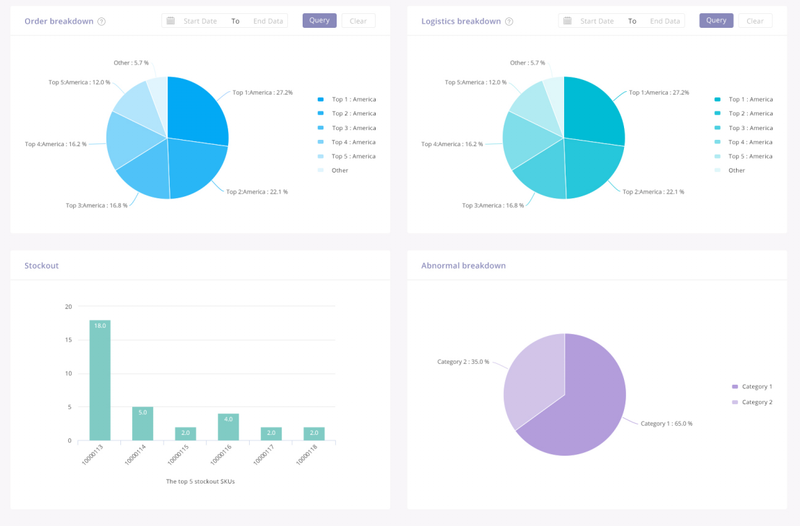 The pie chart shows the cost percentage of your total expenditure incurred in current billing cycle, you can specify the date range. The line chart shows your consumption of Item/CBM/SKU incurred in current billing cycle. 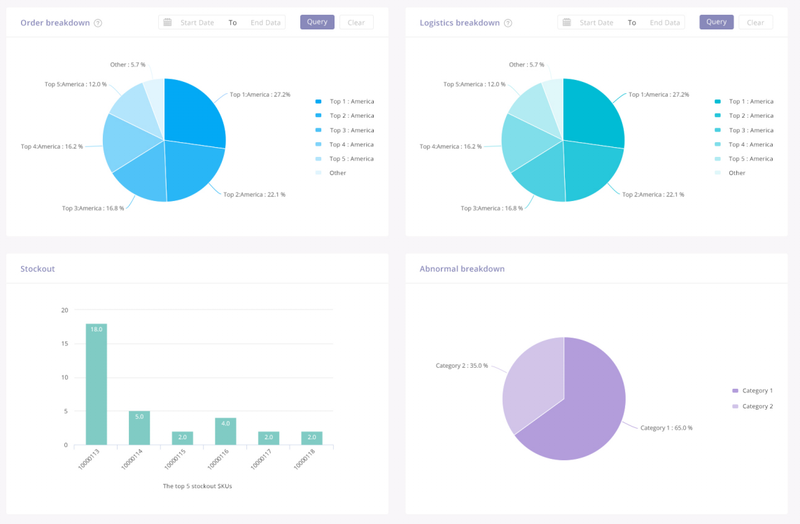 This chart shows the details of your warehousing consumption, click “More” for more information. Please login your account for more details.